First itinerant market for organic produce supported by Al Munia Asociación Ecológica on Saturday January 13 from 10 – 2 pm in the Plaza de España in Ronda. Apart from the direct sale to the public of organic products offered by a variety of local producers of fruits, vegetables, milk-products, meats and other articles, there will also be an information area, workshops, talks, tastings and opportunities for schools, consumer groups and individual families to become more involved in the movement. The aims of the event are to increase awareness of healthy eating habits and the consumption of organic products; to make locally produced foods available to the public locally; to encourage high quality and highly sustainable production methods; and to encourage sustainable rural development. 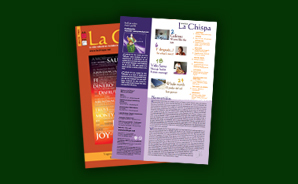 More updates to come in the Feb/March edition of La Chispa, on the streets from 1 Feb.